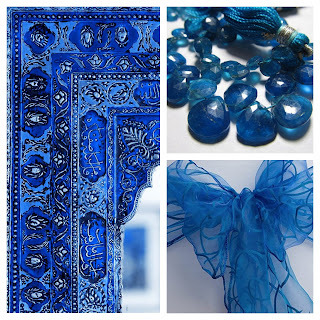 This month it's all about being inspired by the mood board. Here's what I have created. I took the book idea - found some old Crate paper & altered the titles on the spines to reflect my page! 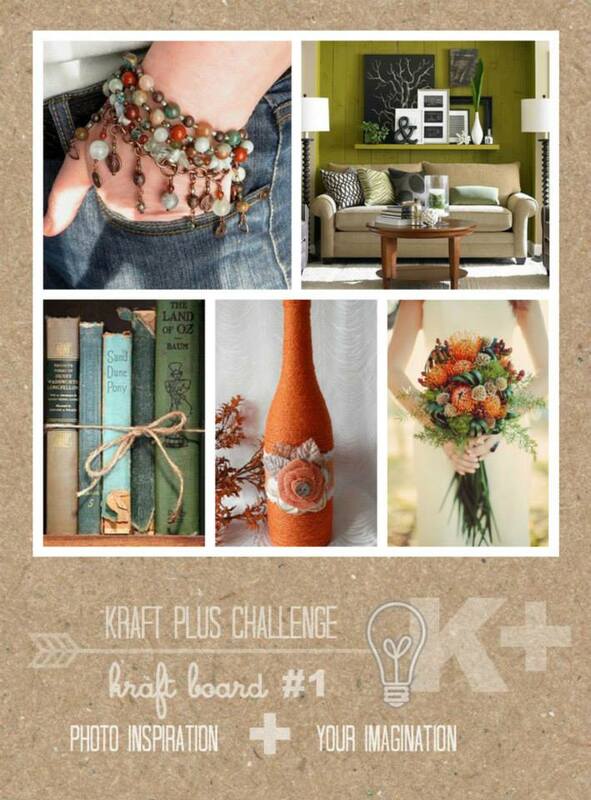 I've used lots of orange, a touch of green & natural colours like the mood board. I've got a cluster in the corner - the plane symbolises Tim's trip 1/2 way round the world to come home! That little Basic Grey sticker 'Just Dandy' sounded sort of Yank-ish? I think they say 'dandy'??!!! And my whole page. I've sort of kept it 'boxed', like the frame on the wall on the mood board! And the prizes are both random and chosen - so what are you waiting for? Ready to join us this month? I hope so!!! Hi there! 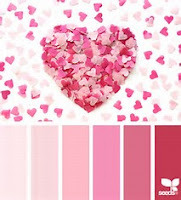 What a great mood board and those sure are different colors! Love your photo, it shows a great relationship between these two guys! Love all the phrases and fun things! And pretty sure they say dandy... Well they do now! Happy may month! Wow..Loved have you have mimiced the book titleslovely idea ! The foxy n plane make it cute n playful ! Wow wow wow!! I just loveeeeeeeee this! PRECIOUS photo, and loving the colors, the fox and the book titles!!!!!! There is so much playfulness going on here and I just adore it! That little cheeky fox peering over the side of the photo and those artsy splatters just set this page up for success! Another fabulous layout! 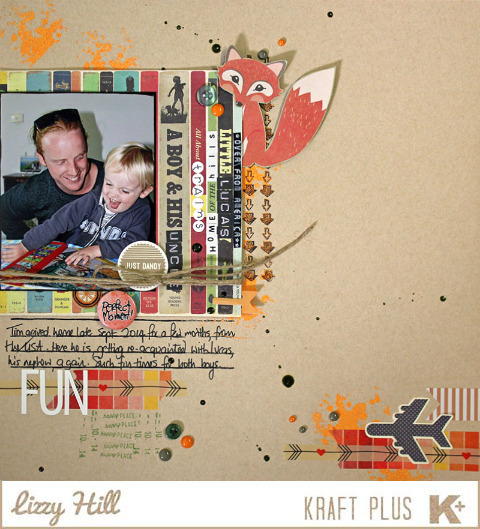 Love the orange embossed arrows, it is all "just dandy" and fun! I adore your take on this challenge...how cute is that fox! That photo is just gorgeous. Love your page and all of your fabulous creations of late too. Especially love your selfie book. Lovely crafty Kraft page Lizzy!!! Ahh....such a sweet page! LOVE the fox and how the colours just pop off the kraft base! This is one of my new faves by you! Love the page, the colors and the photo!! It all works perfectly together! Fab page!